2019 Collection-> MDR11/514 MATRIC FAREWELL/DANCE DRESSES - MATRIEKAFSKEIDROKKE. 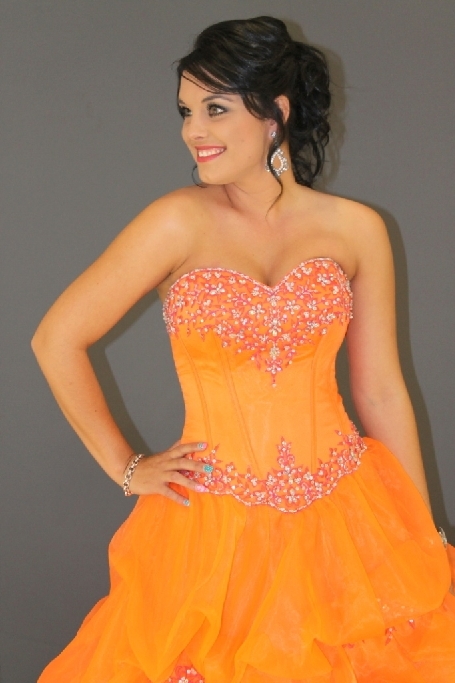 Adorn yourself in the splendor of this lovely bright orange formal matric dance dress at Yourday Bridal Annlin Branch. A delicate glimmer edges the strapless neckline, and delectable bead embroidery traces along the bodice. Sectional seaming shapes and svelte silhouette through bust, waist and hips. The full skirt blossoms from a dropped waist in rushing to a full-length. Centurion branch cell 073 299 2028 or 012 653 0318,104 Willem Botha Street ,Eldoraign, centurion@yourdaybridal.co.za Close to Centurion Mall and Mall@Reds.